With stunning views of the Marina, good music, great service its very own ‘gin garden’ – there’s no surprise that The London Project has been the talk of the town ever since it opened to the public. If you’re heading there for sundowners, make sure to get there early as the outdoor terrace area fills up quickly. This new Amazonian-inspired hangout at Pier 7 is filled with greenery, making you feel like you’ve just walked into a rainforest. Mama Zonia, which recently replaced O’Cacti, has a variety of cool tropical drinks on the menu, delicious Asian & Caribbean food and, of course, a fun Friday brunch too. Atlantis the Palm is opening a new entertainment zone and it sounds amazing! From a bowling alley and gaming zone to a restaurant and wave machine, Wavehouse opens to the public in February. Ladies, don’t miss their awesome ladies night offer every Tuesday night. There’s a brand new sky-high bar overlooking Dubai Marina, with insane views from the top! If you love your drinks with a view, make your way to Skyland Dubai, which you’ll find on the 31st floor of the new Stella Di Mare hotel. Looking for a cool new watering hole in JLT? 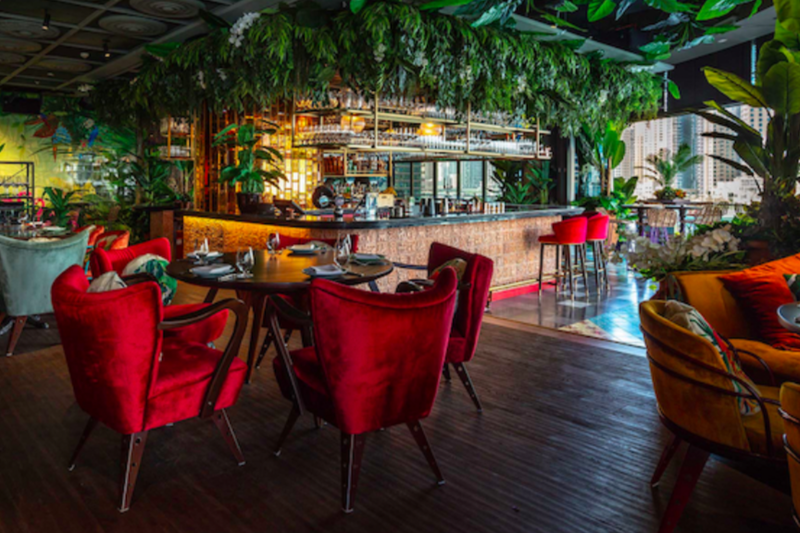 If you miss hanging out at Axe House JLT, you’ll be glad to know that the new British pub Hoxton Bar, which replaced Axe House last month, looks and feels just like it. From the neon red lighting to the ping pong tables, fans of Axe House JLT will definitely love this one. Remember the new Friends-inspired cafe that just opened in Dubai? Not only is it licensed, but it’s open 24 hours a day, 7 days a week! Whether you fancy watching a live sports game or you just want to enjoy some food and drinks, round up your ‘friends’ and check it out.